Hoggard Green, has overall responsibility for Mission Hospital. Hoggard Green joined Mission Health from PeaceHealth, a system that includes nine hospitals in Alaska, Washington and Oregon. She served as regional chief operating officer for the PeaceHealth Oregon Region, which includes three hospitals, ambulatory and home health services, a 200-member medical group practice and related health services. Before joining PeaceHealth, Hoggard Green served in a variety of leadership roles at Intermountain health care in Salt Lake City, Utah, one of the nation's leading not-for-profit health systems. There, she served as assistant vice president. She also spent eight years as the operating officer for various hospitals in the Intermountain system. A registered nurse, she began her career on the oncology and bone marrow transplant units at LDS Hospital, a 420-bed Level I trauma facility, and later held management positions at LDS in patient care management and quality improvement. 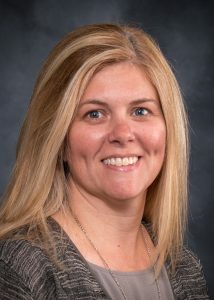 Hoggard Green earned both her MS and PhD in Healthcare Leadership and Quality from the University of Utah, College of Nursing. Her husband, David, is also an RN, and they have two grown sons. Prior to joining Mission, Paul was Senior Vice President and Chief Financial Officer for A+ rated King’s Daughters Health System in Ashland, Kentucky. While at King’s Daughters, he oversaw 12 years of solid financial performance, with an operating margin averaging 4.9 percent, and led significant cost reduction efforts. Paul’s previous experience includes five years at for-profit Health Management Associates (HMA), six years with what is now Wellstar Health System in metro Atlanta, and three years in public accounting. McDowell has an Accounting degree from Georgia Southern University, and a Master’s in Business Administration from Kennesaw State University. He is a member of the American Business College of Health Care Executives and the Healthcare Financial Management Association. Zyry leads Mission Hospital’s clinical and operational strategy with responsibility over clinical, ancillary and administrative services and in partnership with medical staff leaders to attain our quality, safety, patient experience and financial goals. As COO of the system’s flagship hospital, Zyry also drives the transformational work associated with the Mission Hospital for Advanced Medicine, scheduled to open for services in 2019. As the COO of system care management services, Zyry’s vision and leadership on the development and implementation of innovative and evidence-based care models is significant in Mission Health’s work in managing western North Carolina’s high-risk patient population and improving our entire patient population’s overall state of health. 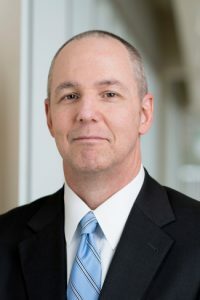 Before joining Mission Health in 2015, Zyry served as the vice president of Surgical Suites and Longitudinal Care Service Lines for the Geisinger Health System in Danville, Pennsylvania and also served as an adjunct faculty member for Pennsylvania College of Technology and Thomas Jefferson University. 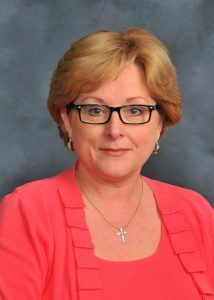 She was the recipient of the 2004 Nightingale Award of Pennsylvania in Nursing Administration and was selected as one of the Top 100 People in Business in 2005 by Pennsylvania Business Central. Zyry holds an Associate and Bachelor of Science in Nursing degree from Pennsylvania College of Technology in Williamsport, Pennsylvania and a Master of Nursing from the Pennsylvania State University in State College, Pennsylvania. She is certified in Inpatient Obstetrics through the American Nursing Credentialing Center (ANCC) and is pursuing her Doctorate in Nursing from Pennsylvania State University. Zyry is a member of the Beta Sigma and Zeta Theta Chapters of Sigma Theta Tau, national nursing honorary society. Olsen has responsibility for nursing services and other clinical service programs for Mission Hospital and outpatient departments of the hospital. Olsen joined Mission Health in 2011 from Novant Health in Winston-Salem. She served 20 years in the U.S. Navy Reserves, retiring as a Commander in the Nurse Corps, recalled for both Desert Storm and Iraqi Freedom. 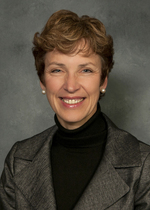 Olsen served in various nursing leadership roles across North Carolina as well as Florida. Her nursing experience includes areas of critical care, emergency services, neonatal ICU, pediatrics and medical surgical. She received the North Carolina “Great 100” nursing award in 2016. Olsen earned her BSN from Beth-El College of Nursing and her MBA in Healthcare Management from Regis University in Colorado. Olsen served as a board member for Council on Aging and currently serves as a board member for Manna Food Bank. Her husband, Eric, is retired from the Air Force and most recently from the Winston-Salem Police Department. They have two grown, married children who reside in Tennessee and in Kentucky.